When you are getting a car insurance quote for the first time there can be many confusing terms on the quote form which may easily leave you feeling a bit baffled. You have probably heard of the term ‘excess’ before and you may have a good idea of what it is. If you don’t it is basically an amount that you have to pay in the event that you need to make a claim on your car insurance policy. It is there to discourage you from claiming for every tiny little thing that might happen to your vehicle which let’s face it, would drive the cost of car insurance up drastically if everyone were to do this. I’m talking about claiming for every little dent or scratch that may happen during your car ownership. When you are getting your car insurance quote you will often come across 2 types of excess, a compulsory excess and a voluntary excess. A compulsory excess is the one set by the insurer on a certain quote or policy and it is the monetary amount that anybody who takes out the policy must pay in the event of a claim. It is often the case that this excess amount can simply be deducted from your total claim entitlement so you may not have to literally find it out of your own bank account as it were, but it will need to be paid in some way, shape or form. Compulsory excesses often differ from policy to policy or insurer to insurer, so be sure to take this into account when deciding whether the cheapest car insurance quote is actually the right policy for your needs. A voluntary excess is an amount which you can voluntarily choose to add to your compulsory excess in order to bring the cost of your insurance premium down. The higher your voluntary excess is, the cheaper your car insurance quote is likely to be because as we’ve mentioned, excesses act as a kind of barrier to making a claim meaning the higher the excess, the less worthwhile it is to make a claim. It is worth mentioning again here that the voluntary excess is added to the compulsory excess amount, it does not replace the compulsory excess. How Much Voluntary Excess Should You Add? This question can only really be answered on a case by case basis. It will often depend on your attitude to risk, your available funds and the value of your vehicle. 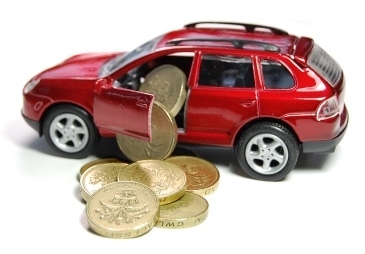 If you have a cheap car for example you may feel that you would be able to replace the vehicle quite easily were you to write it off and you therefore might feel that it will be fine to add a voluntary excess as you don’t anticipate making a claim very often. There is always the possibility however – or should we say likelihood – that a third party will be involved in an accident which may result in you having to make a claim. If this were to happen, would you be happy to pay out £400-£500 because you had chosen to add a voluntary excess of say £250? This is just one of many scenario’s that could affect your decision on whether or not you should add a voluntary excess to your car insurance policy and I think it will be better for me to write a follow up post based on that question alone sometime soon. But there we have it, you now know what a voluntary excess is and how it differs from a compulsory excess.